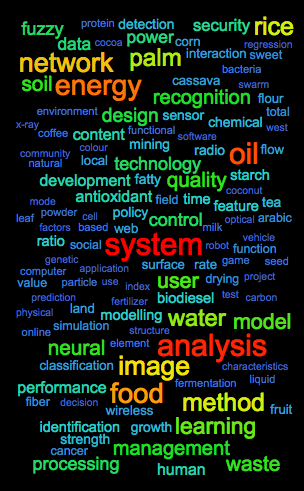 International Journal on Advanced Science, Engineering and Information Technology (IJASEIT) is a peer-reviewed electronic international journal. This statement clarifies ethical behaviour of all parties involved in the act of publishing an article in this journal, including the author, the chief editor, the Editorial Board, the peer-reviewer­­­­­ and the publisher (INSIGHT - Indonesian Society for Knowledge and Human Development). This statement is based on COPE’s Best Practice Guidelines for Journal Editors. 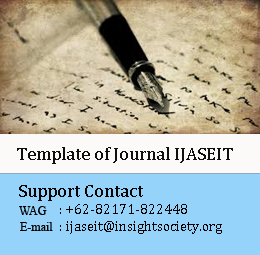 INSIGHT - Indonesian Society for Knowledge and Human Development as publisher of International Journal on Advanced Science, Engineering and Information Technology (IJASEIT) takes its duties of guardianship over all stages of publishing extremely seriously and we recognize our ethical and other responsibilities. We are committed to ensuring that advertising, reprint or other commercial revenuehas no impact or influence on editorial decisions. In addition, the INSIGHT and Editorial Board will assist incommunications with other journals and/or publishers where this is useful andnecessary. The editor of the International Journal on Advanced Science, Engineering and Information Technology journal is responsible for deciding which of the articles submitted to the journal should be published. The validation of the work in question and its importance to researchers and readers must always drive such decisions. The editors may be guided by the policies of the journal's editorial board and constrained by such legal requirements as shall then be in force regarding libel, copyright infringement and plagiarism. The editors may confer with other editors or reviewers in making this decision.